They say it does not matter how you get the picture, as long as you get it. With digital, many of us take thousands of images and then select a few keepers. 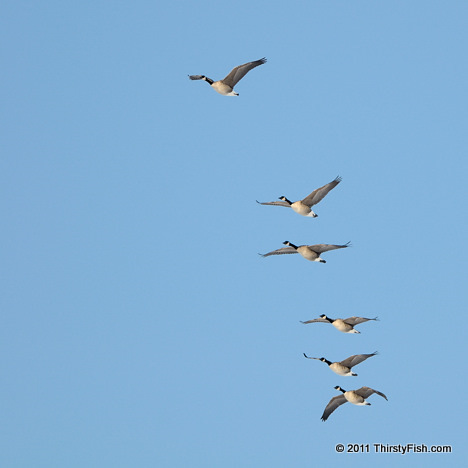 There is no way to prearrange these geese in a photographically meaningful way. But, is randomly shooting thousands of frames to get the few lucky shots photography? In a studio, we have control over pretty much everything; lights, background, subject (model) etc. In photojournalism, street or wildlife photography, there is no control yet some are able to anticipate, visualize and compose the scene better than others.